The award-winning attorneys with our law firm are well-versed in all aspects of family law, including divorce, child custody, child support, and much more. When family law issues arise, our top lawyers use an honest and aggressive approach. Our clients have named us one of the best family law firms in Peekskill and consistently praise us in their written reviews. A top lawyer will make sure all legal matters involving your child are handled in a professional matter. If you choose to divorce in New York – or if you decide that divorce is your only choice – a good family law attorney can guide you through a divorce and ensure that you are treated fairly at every stage of the process. Family law attorneys help a variety of other clients – from engaged couples who need a premarital agreement to infertile couples pursuing surrogacy or adoption – and family law attorneys usually suggest that spouses try to work out their differences before moving ahead with a divorce procedure. If you’re considering a divorce in Westchester, Dutchess, Putnam, Orange, or Rockland County, learn about your options by consulting first with an experienced law office that deals in family law cases. Although they admit that there are plenty of exceptions, researchers still insist that married persons are generally happier and healthier than single persons, especially in middle age. At least, that’s the conclusion of researchers at the National Bureau of Economic Research. They found that married persons are by-and-large happier and more satisfied with their lives. In a time when fewer and fewer people are marrying, the study suggests that the single life still has some considerable negatives. The fact remains that, for plenty of married partners, staying married is genuinely the best option. Even in today’s world, divorce really should be a last resort. For many people, marriage provides meaning and structure in their lives. Others simply appreciate an ever-deeper relationship with a spouse who’s also a best friend. Of course there are times and situations when divorce is imperative. But researchers consistently say that when spouses are also best friends, a marriage is far more like to endure. If you require legal advice or services regarding family law matters in New York, including divorce, it’s best to seek help and discuss the matter with an experienced Westchester County family law attorney. Prior to taking any action to dissolve a marriage in New York, speak about your goals, plans, and options with an experienced Westchester County family law attorney. Disagreements and disputes are not always signs that your marriage should end in divorce. Conflict is part of everyday life, and when couples handle conflict appropriately, it can genuinely help you to build a healthier relationship. This isn’t about raising your voice or verbally abusing your partner – obviously, that’s not the way. But avoiding disagreements entirely is a recipe for bigger problems in the future. Conflict should always aim, not at “winning,” but at resolution. Build trust: Knowing that your partner can be trusted – even in the middle of conflict – makes disputes less threatening. Build character: Working your way through disputes can help you learn more patience and compassion. Build intimacy: You develop a deeper intimacy with your spouse when you fully understand his or her thoughts and feelings. Feel better: A moderate amount of occasional conflict is actually good for you. It can reduce stress, tension, and anxiety. Disagreements create an opportunity for greater understanding and love between spouses. Of course, not every spouse is mature enough to deal appropriately with conflict. If disagreements are hurting your marriage rather than improving it, a divorce may in the end may be your only or best alternative. Before you choose divorce, speak as quickly as possible with an experienced Westchester County family law attorney. Family is very important to us. We take the time to understand fully each client and family we represent, and we help clients obtain the child custody orders and the court-ordered parenting plans that serve the best interests of our clients and their children. If you’re facing any family-related legal matter – whether it involves divorce, custody, support, or visitation privileges – promptly contact Kimberly Pelesz New York Law, LLC and put an experienced Westchester County family law lawyer to work for you. Whether you need immediate legal advice and representation from an experienced Peekskill family law lawyer or simply want to plan ahead for your family’s future, we are available to assess your circumstances, to discuss legal options such as mediation, arbitration and litigation, and to help you make the right decisions for yourself and the people you love. Every client and prospective client is treated with respect and extended every possible professional courtesy. We offer effective solutions to family-related legal issues. Contact Kimberly Pelesz New York Law, LLC as quickly as possible for a free initial consultation if you are seeking, involved in, or anticipating a legal dispute regarding a family matter. We will work diligently to get you the best possible outcome to your family law matter. With offices in Peekskill and Poughkeepsie, our lawyers serve New York clients in Beacon, Fishkill, Wappingers Falls, Newburgh, Tarrytown, Greenburgh, Westchester County, Dutchess County, Putnam County, Orange County, and Rockland County. To learn more about how an experienced Westchester County family law lawyer can help you and to get a free case consultation, email us or call our law firm at (914) 402-4541. What Are The Different Levels Of Robbery In NY? Is There A “Legal Limit” For Marijuana-Related DWI? 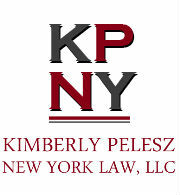 The attorneys at Kimberly Pelesz New York Law, LLC are committed to giving our clients choices. We are passionate about empowering our clients with the information they need to make educated decisions about their criminal law case or family law dispute. After you have decided which direction you would like to go, we will support you from the beginning to the very end of your case, and oftentimes beyond. Kimberly Pelesz New York Law, LLC's main location is at 832 South St Peekskill, NY 10566, but also serves New York clients in Beacon, Fishkill, Wappingers Falls, Newburgh, Poughkeepsie, Tarrytown, Greenburgh, Westchester County, Dutchess County, Putnam County, Orange County and Rockland County. © 2019 by Kimberly Pelesz New York Law, LLC. All rights reserved. All rights reserved.